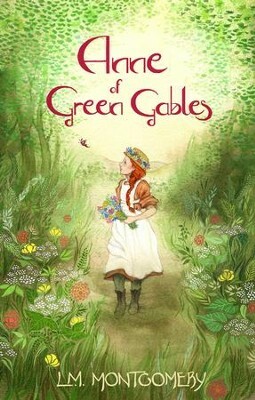 When a scrawny, freckled girl with bright red hair arrives on Prince Edward Island, Marilla and Matthew Cuthbert are taken by surprise; they'd asked for a quiet boy to help with the farm work at Green Gables. But how can you return a friendless child to a grim orphanage when she tells you her life so far has been a 'perfect graveyard of buried hopes'? And so, the beguiling chatterbox stays. Full of dreams, warmth and spirit, it is not long before Anne Shirley wins their hearts. This collection of the best children's literature, curated by Virago, will be coveted by children and adults alike. These are timeless tales with beautiful covers, that will be treasured and shared across the generations. Some titles you will already know; some will be new to you, but there are stories for everyone to love, whatever your age. Our list includes Nina Bawden (Carrie's War, The Peppermint Pig), Rumer Godden (The Dark Horse, An Episode of Sparrows), Joan Aiken (The Serial Garden, The Gift Giving) E. Nesbit (The Psammead Trilogy, The Bastable Trilogy, The Railway Children), Frances Hodgson Burnett (The Little Princess,The Secret Garden) and Susan Coolidge (The What Katy Did Trilogy). Discover Virago Children's Classics. I'm the author/artist and I want to review Anne of Green Gables / Digital original - eBook.